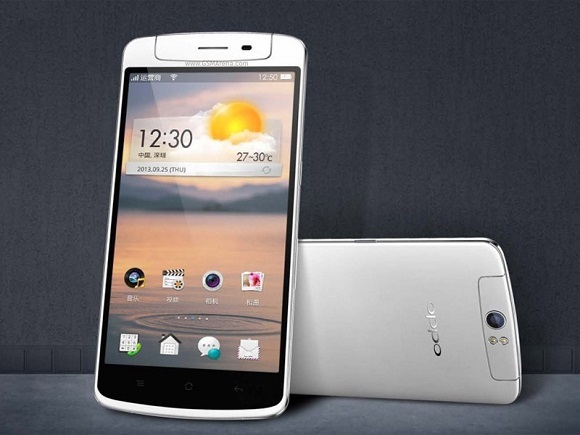 In a special event held in Beijing, China Oppo announced its high end Android smartphone called Oppo N1. The N1 is looking really nice and got few unique features which are still not there in any other smartphone. To start off, Oppo N1 runs on a special version of Android called Color OS which is based on Android 4.2 Jelly Bean. The Color OS is just like HTC Sense i.e. an Android skin. Let see what all features and specifications Oppo N1 is bringing to the users. These specifications can attract any customer who is looking for some high end features at budget price. Oppo N1 got a single camera which can function as both rear and front camera since it got a rotating lens on the top of the device. While manufacturing and testing period, the rotation of the camera has been performed so many times and there are very less chances of getting it damaged. Due to this rotating camera feature, users will be able to make video calls with high quality video quality due to the 13MP sensor. The area below the camera at rear holds on to a touch sensitive control which can be used to control some applications or tasks. This feature is called the O-Touch and it supports three kinds of touch, long press, sliding and double tap. 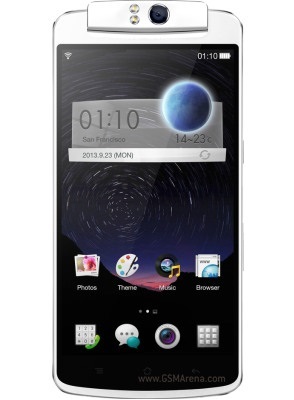 The giant 5.9 inch display will make the Oppo N1 popular among phablet lovers. Also the resolution is full HD so users can expect gorgeous display on the device. The operating system on which Oppo N1 runs is the latest Color OS which is based on Android 4.2 Jelly Bean. Besides these good features, there are two negative features too. First one is that Oppo N1 weighs too much. It weighs about 213 grams which is making the device very heavy. The second such feature is that there is no option to expand the storage as Oppo N1 doesn’t got slot for microSD card. So users can have maximum 32GB of storage. Oppo N1 is priced at $571 which will help it to get listed among high end smartphones at budget price tags. Right now, users in China can pre-order Oppo N1 but it will be available in rest of the world later.